Kid Ink closed out 2018 along with his seven-track Missed Calls EP in December. 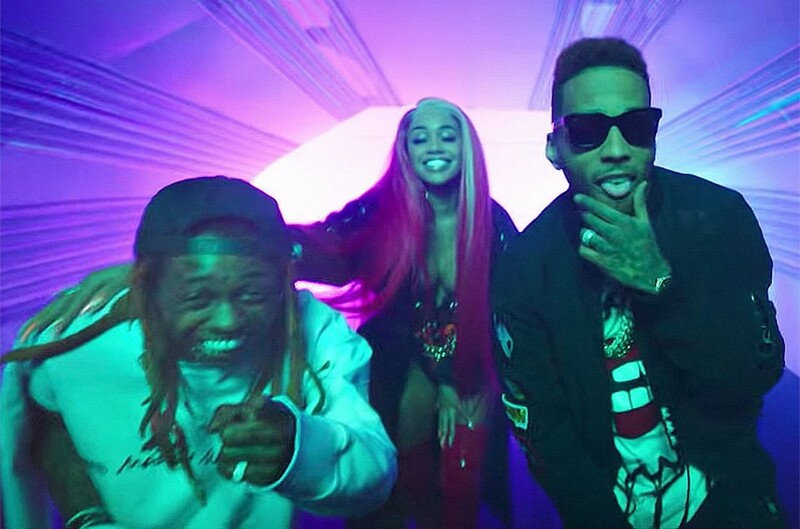 Right off the bat, many listeners have been drawn to the raunchy "YUSO," which rapidly caught fireplace as a fan favourite with fiery assists from the legendary Lil Wayne and rising Bay Area rapper Saweetie. Just a couple of months later, the trio returns with the twerk-filled "YUSO" music video on Monday (March 18). The "Main Chick" rapper enters the neon-lit room to get issues going, the place he's surrounded by a couple of unique dancers shaking their behinds into the digicam. The dancers are then seen sensually licking an ice cream cone and consuming a banana. Clearly having fun with what's occurring, Weezy pops into the clip with a smile on and his signature styrofoam cup. Saweetie in the end steals the present together with her jawdropping cameo. The "ICY GRL" artist has to chill herself down utilizing a hand fan, with the steamy scene starting to warmth up behind her X-rated verse. "I simply hit my boy toy and he comin’ round one/ I gave him that dumb tongue and clearly he’s nonetheless sprung," she rhymes. If you're at work, ensure that the coast is evident earlier than watching the "YUSO" video under.